Cedar's Daisy is a nice compact square female. 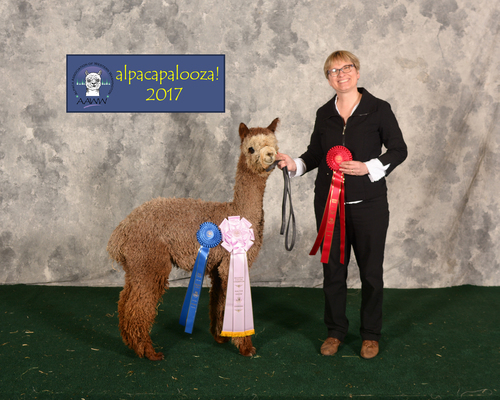 She delivered a beautiful rose grey female (Cedar's Jasmine) in 2015. If she is bred back to black there would be a good chance it could happen again. 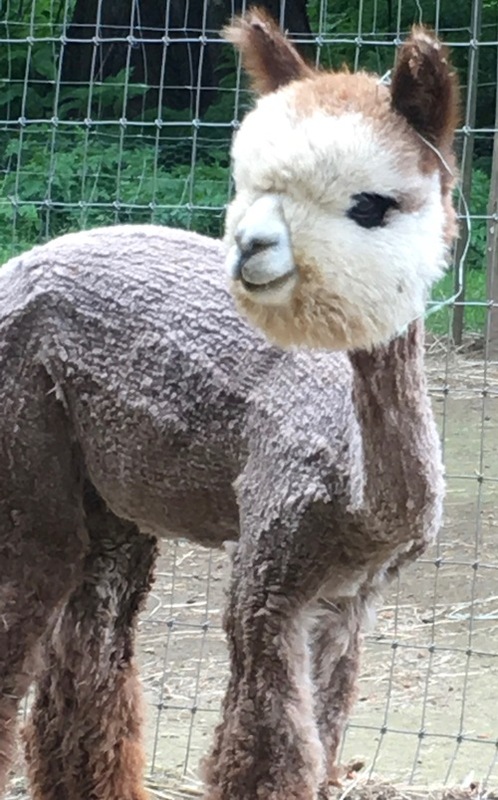 Daisy has an abundance of fleece just like her sire. 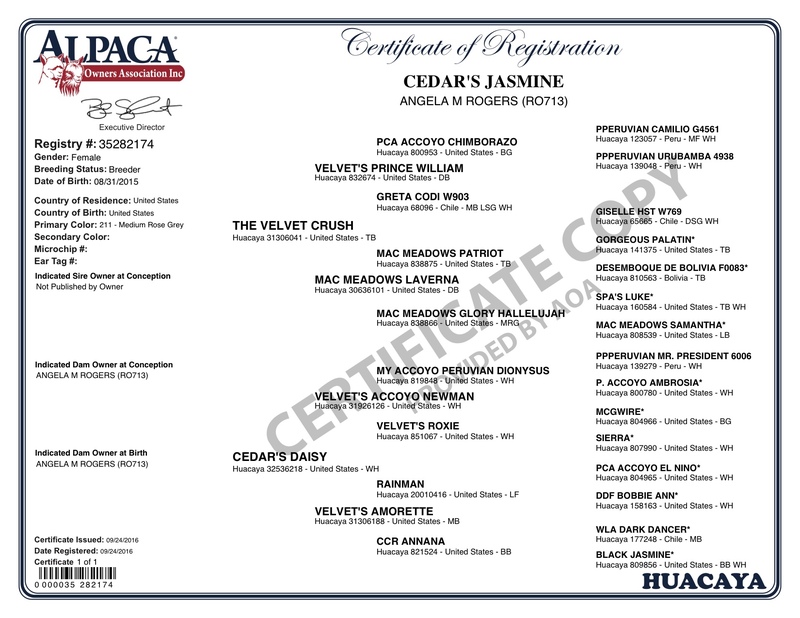 Daisy comes from a line of the greats including Vengador, Victor, PPPeruvian Mr. President and McGwire on her sires side. On her dams side there is Caligula, Hemingway, El Niño, Rainman and Bobbie Ann. Jasmine is quite the looker! She is the first one that people notice on the farm. 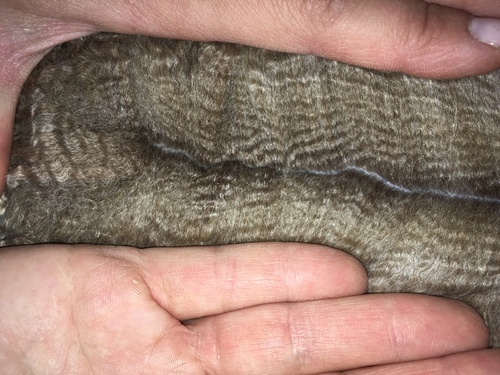 Nice compact female loaded with fleece! This fleece carries wonderful brightness and feels good to the touch. Her personality captures your heart.